The greatest mythical creatures are going Tiki! 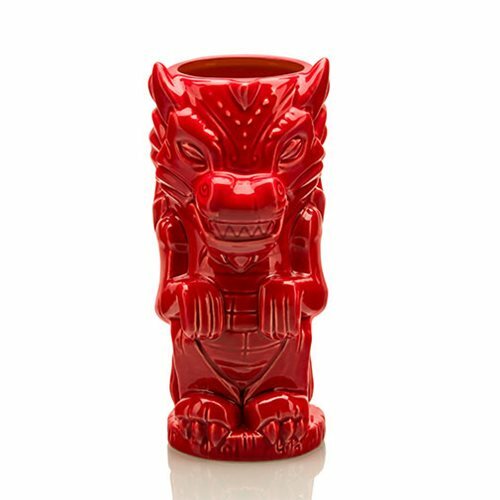 This creative and colorful drinkware combines out of this world creatures with the unique stylization seen in traditional tiki culture. This ceramic mug is even top-shelf dishwasher and microwave safe. This Mythical Creatures Dragon 17 oz. Geeki Tikis Mug measures about 7-inches tall x 2 3/4-inches diameter. Ages 14 and up.